California has finally been declared drought-free after experiencing 7 years of alarmingly arid conditions – and it has resulted in a surge of butterflies and wildflowers. The rain and snow reduced the amount of drought-affected state land from 97% in 2016 to just 57%. Around the same time, the U.S. Drought Monitor reported that America’s nationwide drought had finally come to an end after three years. Now, only 7% of California is experiencing “abnormally dry” conditions – but experts reassure that these areas of southern California are expected to improve. 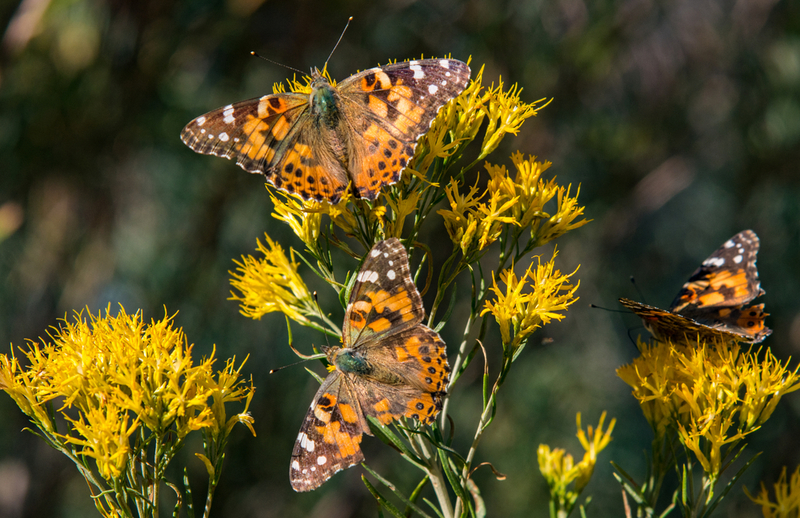 According to the Los Angeles Times, painted lady populations have been just one of the butterfly species that have experienced a decline in recent years – but thanks to the super bloom, painted ladies are migrating by the millions across southern California. Experts say that it has been 14 years since they have recorded such massive numbers, with the previous record being an estimated 1 billion painted ladies migrating south in 2005.